This is a great way to make some extra $$$ free and easy!!!! The Akhal-teke is one of the most distinctive and unusual horses in the world, and also one of the oldest. It is bred around the oases of the Turkmenistan Desert, north of Iran, and centered in Ashkabad. Horses were bred and raced here 3,000 years ago. There is nothing quite like this mystery horse. Its endurance and its resistance to heat are phenomenal. In 1935, Akhal-Tekes completed a ride from Ashkabad to Moscow, a distance of 2,580 miles, in 84 days. The ride included some 600 miles of desert, much of it crossed virtually without water. This extraordinary feat has never been equaled. Racing is endemic to the Turkoman people. They used to feed their charges a high-protein diet of dry lucerne, when available, pellets of mutton fat, eggs, barley and a fried dough cake called quatlame. The horses were wrapped in heavy felt to protect them from the cold, desert nights and from the heat of the midday sun. 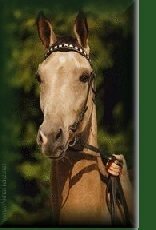 Today, the Akhal-Teke is a racehorse, a long-distance performer, and the Russian sports horse in the dressage and jumping disciplines. The quarters of the Akhal-Teke are narrow and mean and would be a nightmare in a show class, but they are spare and sinewy and the thighs are long and muscular. The coat is exceptionally fine and the skin thin, in character with a horse of desert origin. A feature of the breed is a short, silky tail and a sparse, short forelock and mane. The long hind legs are usually sickle-shaped and cow-hocked, the hocks being carried high off the ground. The forelegs are usually set too close together but they are otherwise straight and the forearm long. The hooves are small but regular although the heels are set low. The long, thin neck is set very high and almost vertically to the body, the head joining it at a 45 degree angle. Becuase of the long neck and the angle of the head, the line from the mouth is often higher than the withers, a feature peculiar to the breed. The head is fine, and the big eyes give an impression of boldness. The nostrils are wide, the profile straight and there is width between the large, beautifully shaped ears. Colors found in this horse include chestnut, black and gray. But the most striking is the dun with its golden-metallic color, which is amazingly beautiful in the sunlight. A silvery color also occurs. 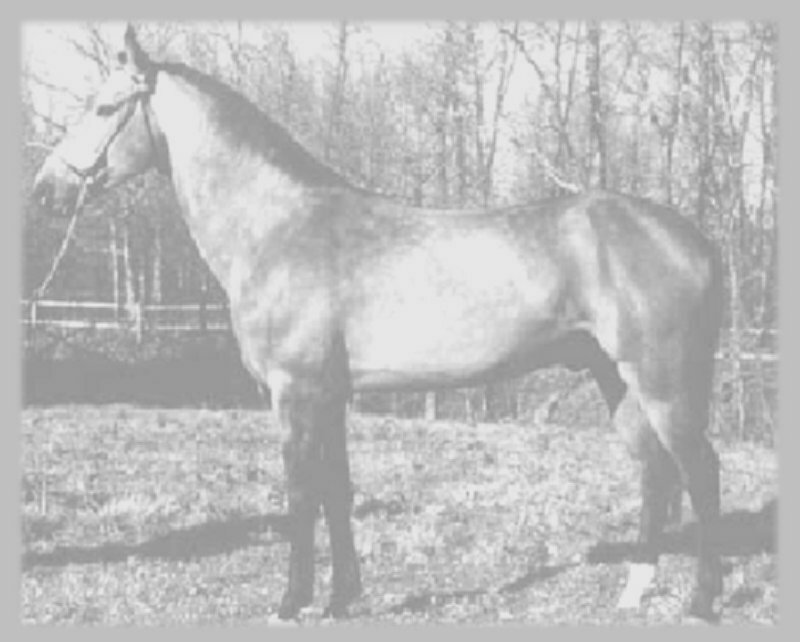 The Akhal-Teke incorporates almost every conventional conformational failing, even though the high withers run into a sloped shoulder. The body is tube-like, the back is too long, the ribcage is shallow and the loin is poor. The action is also unique. The horse "slides" over the ground in a flowing movement without swinging its body. This horse can be rather obstinate and bad-tempered and cannot be said to have an easy temperment.